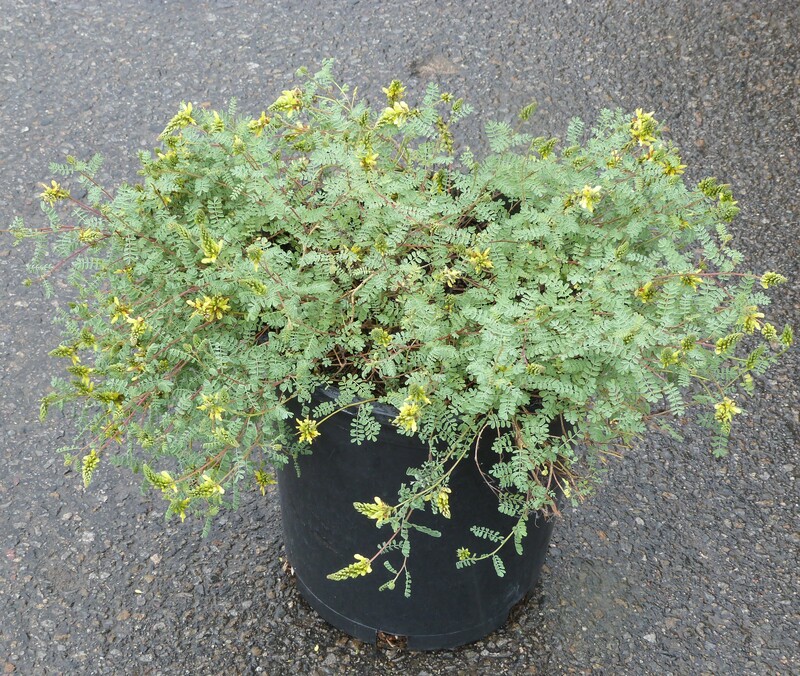 This reliable semi-deciduous groundcover sports small bright yellow flower spikes atop emerald green leaves. As a bonus, the foliage is also aromatic with a lemon scent. Plants typically bloom from spring through fall and grow quickly. If you’re looking for a low-maintenance low-growing plant for difficult locations such as easements, parking lots, commercial planters or driveways, this is a great choice. It tolerates reflected heat from concrete and gravel. Its dense growth habit and fast growth rate make it perfect for quickly filling in spots that may be an eyesore. Also an excellent choice for rock gardens and patios. While ‘Sierra Gold’ will typically lose a good portion of its foliage in winter, it can remain mostly evergreen if temperatures are mild. Combine with other low-maintenance plants like agave, yucca and other succulents. Just as with most groundcovers, you can shear plants back in late-winter or early spring to keep plants looking fresh.